Stuffed cabbage is a delicious dish that you can cook almost all year round. Even better for them to use Mature autumn cabbage. 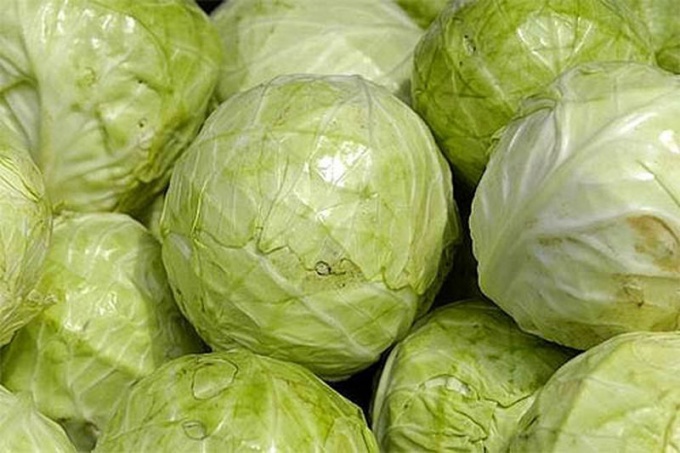 The meat for the stuffed cabbage shall be the average of fat, so usually for minced meat is better to take or not fatty pork or a mixture of beef and pork. The stuffing on the cabbage rolls add rice, so this dish is not only delicious but also very filling. Pour the rice in a small pot, rinse it under cold water. When the water will be light, drain it, leaving the pot a certain amount of water 5 inches above level of rice. Put the saucepan on the fire, when the water boils, reduce the heat and cook the rice on low heat for about 15 minutes. Then turn off the pot and drain the water. The rice should be slightly damp. Grind in a meat grinder stuffing, put it in rice. Finely chop dill, add it to the stuffing. Onions finely chop, carrots to RUB on a large grater. Heat a pan, saute the onions until Golden brown, then put in the pan the carrots and fry them lightly together with the onion. Pour two-thirds of the contents of the frying pan into the meat and rice, add salt, pepper, and stir. Your stuffing for stuffed cabbage is ready. The remaining fried onions and carrots then add to a pot in which to cook the cabbage rolls. This stuffing can be used for the filling of stuffed peppers, tomatoes or dolma. 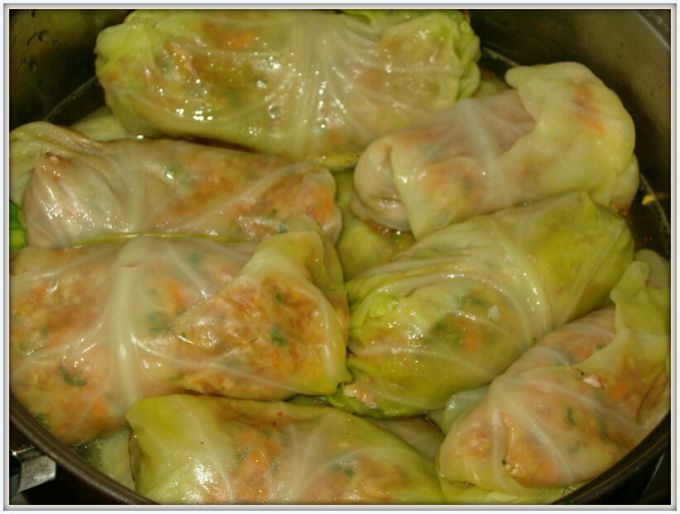 Despite the wide selection of shopping products, make cabbage rolls with their hands and enjoy home delicious lunch. The stuffing can be cooked with meat, mushrooms or vegetables. Depending on this, the cabbage will turn vegetarian or for meat eaters. Customize your serving dishes with various sauces made from sour cream, tomatoes, bell peppers, hot peppers. Minced meat (the first option).Rinse the beef in cold water. Detach the meat from the tough sinews, films, grease. Chop small pieces and scroll through a meat grinder. Peel the onion from the husk. Two onions the second time skip the meat through a meat grinder. And two onions, fry in oil in a pan until clear and put in the prepared mince. Pour the rice in a sieve and sort through it. Remove foreign matter. Rinse the rice with warm water from the tap, and then wash over with hot water from the kettle. Place the saucepan on the fire. Pour it in the boiling water from the kettle. Water should be six times greater in volume than rice. When the water boils, add salt and put the rice. Cook it until tender and drain in a colander, to stack. Mix the minced meat with boiled rice. Season with salt and add some pepper as you like. If you are preparing stuffed cabbage from fresh cabbage, add to stuffing a little lemon juice. When cooking sauerkraut additional acidification is not required. Minced meat (the second option).Prepare homemade meat first recipe. When buying beef, try to immediately allocate your purchase, what kind of meat and what you will need. The stuffing can be prepared in advance and stored for several weeks in the freezer. Peel and chop the onion. Put it in the stuffing. Add the cream and egg yolk. Stir, season with salt and sprinkle with cumin. Fluff stuffing with a fork. Wrap any of the cooked mince in boiled cabbage leaves. Fry the envelopes or rolls in the pan on both sides. Place in a deep saucepan. Pour the diluted tomato paste with sour cream and place in a hot oven. Bake at a temperature of two hundred degrees for about half an hour. Disassemble the meat grinder right after cooking meat. Put all items in a large bowl, add a tablespoon of baking soda and pour hot water. Rinse thoroughly, then rinse in warm water. Wipe dry with a soft towel and leave to dry. Assemble a meat grinder. Length of cooking cabbage , you can use red or Savoy cabbage, spinach or beets. However, most of the hosts chooses the more familiar white cabbage. Before you wrap in cabbage leaves meat-rice filling, these sheets need to properly prepare. 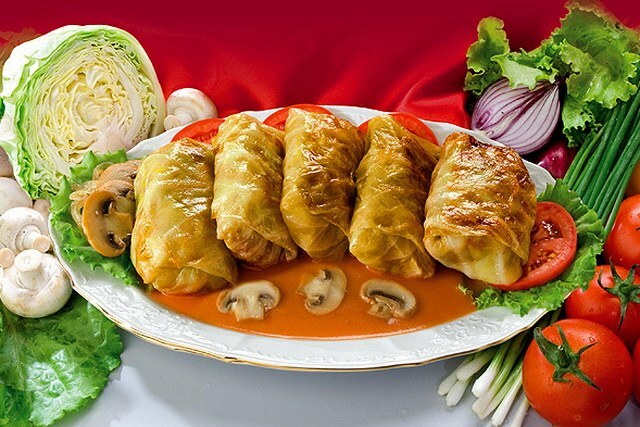 Then they will be firm, but soft, tender and juicy – so, what should be the shell for the real homemade stuffed cabbage. First of all, choose the suitable cabbage. It is best to take Kochan medium size, moderate firmness, slightly frail. With such a head will easily tear off the leaves without damaging them. Some Housewives prefer to cook the whole forks entirely. However, this requires a very big pot, but there is no guarantee that all sheets are equally soft. Easier to disassemble the cabbage into individual leaves before cooking. Gently separate leaves from stalks. If they are separated with difficulty, lightly trim them with a knife at the base. Collect juicy, undamaged leaves of the same size. Pour water to saucepan, bring to the boil. Salt. Dip it in the water cabbage leaves. Sure that they were completely covered with water. Blanch the cabbage for about 3-6 minutes. Sheets ready drain in a colander, allow to drain water, and the leaves completely cool. You can do otherwise: the prepared sheets wrapped in plastic foil and place in the oven for 5-7 minutes. The advantage of this method is the preservation of the cabbage juice and the flavor of the finished cabbage. The leaves can be cooked in a microwave oven. Put them on a glass or ceramic bowl and turn on the oven for 3 minutes. The taste is like the taste of cabbage baked in the oven, but the consistency will turn out somewhat different. And finally, the easiest way. 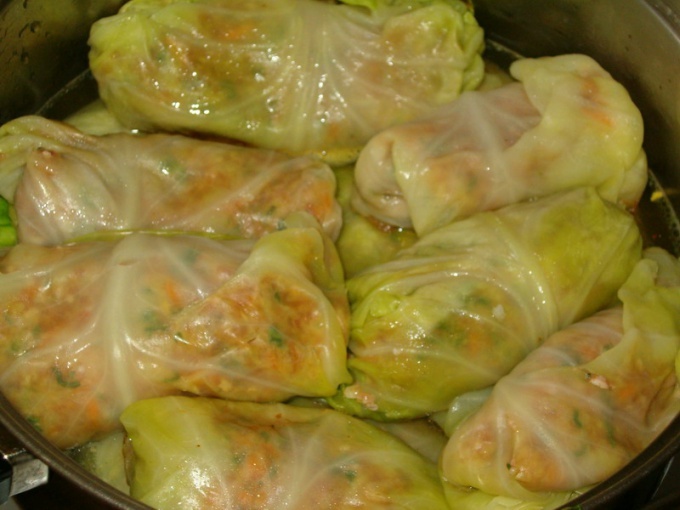 If you do not want to mess with pre-boiling or baking whole cabbage leaves, prepare lazy cabbage rolls. To do this, the raw leaves are cut and mixed with the prepared stuffing. Many of this version of cabbage like it even more classic. Be careful when blanching and roasting - hot cabbage leaves can be severely burned. If the finished leaves harsh veins at the base, they can be lightly beat with a meat mallet or cut with a knife. In the end, the sheet will be of uniform thickness and the filling can be wrapped more carefully. The birthplace of cabbage - Greece. It was called the "roll of a Fig leaf". The grape leaves were hidden some minced and stewed. Was nourishing and delicious, savory food. But in the classic version used a cabbage, not a vine leaf. For meat it is best to take pork, but any other low-fat meat, such as beef. The pulp is cleaned from films and excess fat. Then wash, drain and pass through a fine grate grinder. Onions finely shred and fry until brownish color. To bow has acquired the desired color in the pan, where it is fried, add a small pinch of sugar. Wash rice until water transparency. To connect the above products and add to any sauce. Add few salt and pepper. Cabbage cabbage disassemble into individual leaves and keep them in boiling water, under cover, about 10-15 minutes. This operation is necessary in order that the leaves become soft. When they have cooled, you must remove the "ribs". Cabbage leaves cut in small wedges. A half teaspoon of minced spread on a wide part of the leaf, roll it on the sides (in the manner of envelope). 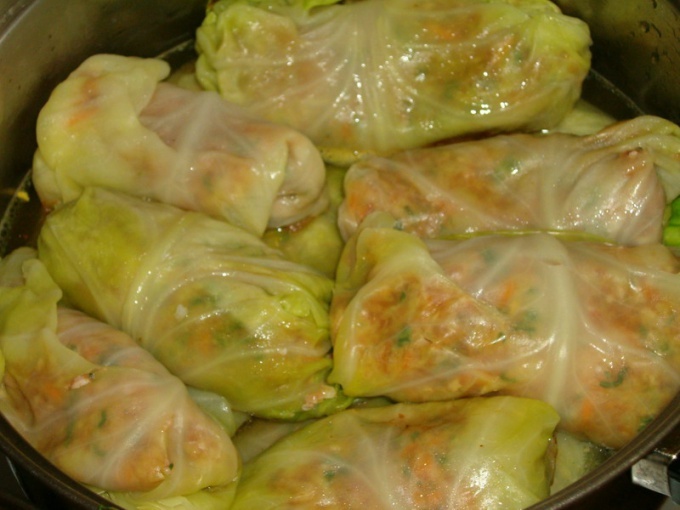 To make cabbage rolls in the cooking process is not untwisted, it is necessary to gently squeeze them in his fist. Curled envelopes to put in the pot tighter to each other. Pour boiling water so that it just slightly covers them. If waters will be much - cabbage rolls will turn out watery. Stewed stuffed cabbage with meat on as low heat for 1.5 hours.